The latest Derby magistrates’ court results are listed below including cases from Ripley, Heanor, Belper and Ilkeston. Peter James Bennett, 37, of Caroline Street, Ilkeston. Pleaded guilty to damaging a Citroen Picasso on Station Road, at Ilkeston. Fined £200 and must pay £350 compensation and a £30 victim surcharge and £85 costs. Leon Hubious Dennis, 39, of Goods Road, Belper. Pleaded guilty to failing to provide a specimen of breath when suspected of having driven a vehicle and as part of an investigation into whether he had committed an offence. Fined £120 and must pay a £30 victim surcharge and £85 costs. Disqualified from driving for 12 months. Royston Brown AKA Lee Hardstaff, 38, of Frederic Avenue, Marlpool, Heanor. 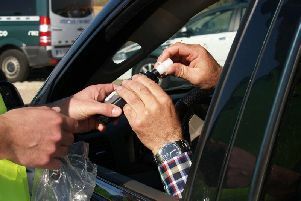 Pleaded guilty to driving a vehicle when the proportion of a controlled drug, namely Benzoylecgonine, in his blood exceeded the specified limit. Fined £180 and must pay a £30 victim surcharge and £85 costs. Disqualified from driving for 12 months. Lorna Kelly Weedon, 30, of Turner Avenue, Heanor. Pleaded guilty to driving while disqualified from holding or obtaining a driving licence. Fined £250. Driving record endorsed with six points. Pleaded guilty to using a vehicle without insurance. No separate penalty. Must pay a £30 victim surcharge and £85 costs. Dean Anthony Williamson, 44, of Vernon Street, Cotmanhay, Ilkeston. Pleaded guilty to driving otherwise than in accordance with a licence. Must pay an £85 victim surcharge and £85 costs. Community order to last until January 6, 2020, with a Rehabilitation Activity Requirement and 200 hours of unpaid work. Disqualified from driving for 12 months. Pleaded guilty to driving a vehicle without due care and attention. No separate penalty. Pleaded guilty to using a vehicle without insurance. No separate penalty. Mark Anthony Pymm, 33, of Westwood Close, Inkersall. Pleaded guilty under the Single Justice Procedure to speeding. Fined £246 and must pay a £30 victim surcharge and £85 costs. Disqualified from driving for six months. Disqualification obligatory due to repeat offending. Matthew Mark Roe, 21, of Franklin Road, Jacksdale. Verdict proved under the Single Justice Procedure that he drove otherwise than in accordance with a licence on Derby Road, at Swanwick. No separate penalty. Verdict proved under the Single Justice Procedure that he used a vehicle without insurance on Derby Road, at Swanwick. Fined £660 and must pay a £66 victim surcharge and £85 costs. Disqualified from driving for 24 months. Proved under the Single Justice Procedure that he used a vehicle without a test certificate on Derby Road, at Swanwick. No separate penalty. David Birkinshaw, 59, of Grasmere Road, Long Eaton. Pleaded guilty to driving a vehicle after consuming so much alcohol that the proportion of it in his breath exceeded the alcohol drink-drive limit on Ravensdale Avenue, at Long Eaton. Must pay a £115 victim surcharge and £85 costs. Committed to prison for 12 weeks suspended for 12 months. Disqualified from driving for 24 months. Lili Wickstead, 21, of Oliver Road, Ilkeston. Pleaded guilty to exceeding the alcohol drink-drive limit. Fined £500 and must pay a £50 victim surcharge and £85 costs. Disqualified from driving for 18 months. Jack Turton, 19, of Cloudside Road, Sandiacre. Consents to a complaint for a football banning order because it is alleged the respondent has caused or contributed to violence or disorder in connection with football matches. Football banning order made for three years. Kieran Lee Adam Morley, 28, of Station Road, Ilkeston. Pleaded guilty to resisting a police officer in the execution of his duty. Fined £80 and must pay a £30 victim surcharge and £85 costs. Paul Raymond Hallam, 29, of Norbury Way, Sandiacre. Indicated a guilty plea to stealing goods valued at £195.50 belonging to Tesco, on Rutland Street, at Ilkeston. Indicated a guilty plea to stealing goods valued at £270 belonging to Tesco, on Rutland Street, Ilkeston. Indicated a guilty plea to stealing goods valued at £39.95 belonging to One Stop, on Charlotte Street, at Ilkeston. Must pay £39.95 compensation. Committed to prison for eight weeks. Pleaded guilty to taking a moped without the consent of the owner. No separate penalty. Disqualified from holding or obtaining a driving licence for five months. Pleaded guilty to driving a vehicle otherwise than in accordance with a licence. No separate penalty. Christopher Andre Howell, 30, of New Street, South Normanton, Alfreton. Indicated a guilty plea to stealing a brown leather wallet and a red rucksack bag at Birchwood Lane, Somercotes, Alfreton. Must pay a £115 victim surcharge. Indicated a guilty plea to stealing a Bluetooth earpiece at Oakdale Road, Pinxton, Alfreton. Pleaded guilty to interfering with a vehicle on Birchwood Lane, at Somercotes, Alfreton, or anything carried in or on the vehicle with the intention of theft of the vehicle, or part of it or anything carried in it. Committed to prison for eight weeks. Phillip Wyett, 45, of no fixed abode. Pleaded guilty to assault by beating at Ironville. Fined £40 and must pay a £30 victim surcharge and £85 costs. Restraining order to last until January 4, 2020. Pleaded guilty to failing to surrender to custody having been released on bail in criminal proceedings. Fined £40. Tom Flynn, 27, of Whiting Avenue, Toton, Nottingham. Indicated a guilty plea to three counts of having a kitchen knife in a public place without good reason or lawful authority on Midland Street, at Long Eaton. Must pay a £115 victim surcharge and £85 costs. Committed to prison for 12 weeks suspended for 12 months with a Rehabilitation Activity Requirement. Steven Phillip Rose, 42, of Highfield Drive, Kirk Hallam, Ilkeston. Pleaded guilty to damaging a mobile phone, tableware, a kitchen cabinet and a door at Stanton Road, Ilkeston. Must pay a £115 victim surcharge. Committed to prison for six weeks concurrently with an existing sentence. Joshua Johnson 23, of King Street, Alfreton. Pleaded guilty to resisting a police officer in the execution of his duty at Gibfield Lane, Belper. Fined £200 and must pay a £30 victim surcharge and £85 costs. Jake Meads, 36, of Duke Street, Ilkeston. Pleaded guilty to stealing household cleaning items valued at £45.16 belonging to a One Stop store. Must pay £75.15 compensation, a £115 victim surcharge and £85 costs. Pleaded guilty to stealing meat valued at £30 belonging to Iceland Stores. Must pay £30 compensation, Pleaded guilty to a further count of stealing household items valued at £29.99 belonging to One Stop stores. Committed to prison for 18 weeks suspended for 12 months with a Drug Rehabilitation Requirement and a Rehabilitation Activity Requirement. Paul Webster, 50, of College Street, Long Eaton. Pleaded guilty to stealing a bottle of wine and boxer shorts valued at £20.50 belonging to Tesco, on Waverley Street, at Long Eaton. Fined £80 and must pay £20.50 compensation, a £30 victim surcharge and £85 costs. Pleaded guilty to stealing two bottles of wine valued at £14 belonging to Tesco, on Waverley Street, at Long Eaton. Fined £80.